Bricked your Samsung Galaxy S I9000? No problem. Here's a simple guide which might help you to reset (hard or soft) your Galaxy S. There are many problems users faces like using some anroid applications that modifies are system and bricking their devices. Many people has complainted that their devices do not boots sometimes and they have to flash full ROM to fix the bootloop, but using this guide, you can recover your Samsung Galaxy S I9000 from bootloops easily. Most of the time, there's a problem of data partition that causes the problem and also this guide is not tough. Just some selections and you are done! Sometimes your device might have failed to boot because of some problems like force close on application, any error you face while using your device or if your device is lagging or giving poor performance. Not only these problems, there might be many problems which I don't even know and you are facing them. NO! you don't need to be rooted! Non rooted users can also follow this guide and unbrick their devices. This will work on 3e (stock), CWM Recovery or any custom recovery. Also if you want to make your device like when it booted for first time then also this guide will help you to do that! This will clean your applications, data, Gmail data, contacts (saved on your phone memory), SMSes (saved on your phone memory) and every single APK with their data , but this will be only for custom installed APKs, applications like settings, contacts, phone and other stock APKs won't be removed, but only their data will be removed for example you set "display contacts of SIM card" and after performing this guide, you have to enable them all again! If you installed an application that modified data partition. If your applications are showing too many force closes (or force close). If you get strange errors in your ROM. If you want to make your phone refresh- make it like when you booted for first time. If you messed something like settings or anything and want to reset them. If your Samsung Galaxy S I9000 is lagging to much and want to fix the lag. If you want to factory reset your Samsung Galaxy S I9000. Note: If you are rooted then most of the chances are that you modified or used any application that modifies the system partition! If you know you did something like then just flash the same ROM again (it won't wipe the data and will work like you used it before it looped!) or did you try Xposed? If yes then Xposed framework always makes a backup in SD Card so just flash it and your mobile phone will boot normally. Also note one thing that your every file will be removed (file means SMSes, phone logs, internet history and everything!) and your files saved in your internal or external SD Cards won't be effected! Now I think you have read the note and you are ready to follow the guide. I will not be responsible for anything that happens to your mobile phone. Shut down the phone or simply remove the battery and make sure it is completely shut down and not in bootloader or at any partition (I mean bootloader or recovery). Press and hold the volume up + home + power buttons simultaneously for sometime till the bootloader (Samsung logo) appears. Soon there will be a simple flash on your screen (not like bright or with colorful colors), which will boot your device to recovery. Use volume down button to move down and select wipe data/factory reset option from your 3e (stock) or CWM recovery. On this screen, you will be asked to wipe your data or perform a full wipe. Now make sure that you are ready to root your mobile phone and select YES – delete all user data to perform full factory reset or wipe your data. 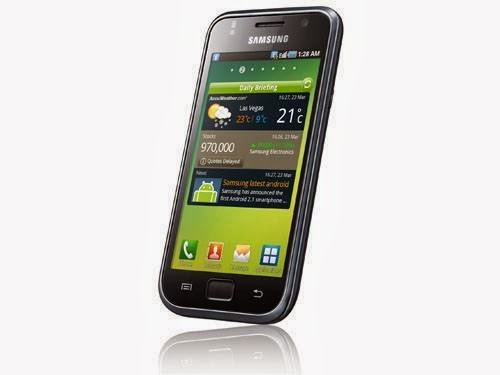 Within some fractions of minutes, your Samsung Galaxy S I9000 will hard reset and factory reset. When you are complete with wiping, press reboot system now to reboot your Samsung Galaxy S I9000 in a normal way. Wait for some times till your mobile phone rebooted. This boot will take much more time than the normal boot because the system is generating new files that are required for it to perform tasks like data, caches, log files etc. JUST DON'T CLICK ANYWHERE AND WAIT FOR SOMETIMES. If you will reboot your device then also nothing will happen wrong, but it will take the same amount of time so better be quick! Fixed your device? Oh, I am happy for you. Please say tuned for more stuffs like this!